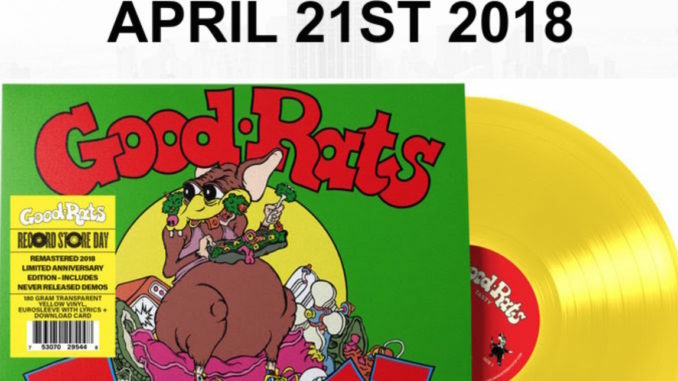 The Good Rats will reissue Tasty on vinyl for Record Store Day on April 21. The band announced it will sell a limited run of 500 copies as an exclusive Record Store Day Release. The recording has been remastered for vinyl by two-time Grammy Award Winner Vlado Meller Mastering. The Good Rats are led by Stefan Marchello, son of the band’s co-founder, the legendary Peppi Marchello, who passed away in July of 2013. To buy ‘Tasty,’ check out your local record stores or visit http://recordstoreday.com to find participating stores. The Good Rats ‘Tasty’ is also available through the label.